Please join us for the Gaetano Borriello Feet on the Ground Humanitarian Symposium on Saturday, October 10, 2015 from 1:30 to 6:00 pm at the DoubleTree by Hilton Seattle Airport. The symposium, which will feature talks by researchers and humanitarian leaders who are applying technology solutions to real-world problems, will be held during the Institute of Electrical and Electronics Engineers' Global Humanitarian Technology Conference (GHTC15), October 8-11 in Seattle. Our friend and colleague, Gaetano Borriello, passed away earlier this year. 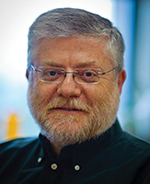 He was a Fellow of the IEEE, a professor of computer science and engineering at the University of Washington, and a recognized leader in the fields of mobile and ubiquitous computing who devoted a significant portion of his career to developing technologies that improve conditions in low-resource settings. He led the development of a suite of open-source mobile data collection tools, known as the Open Data Kit (ODK), that are used by humanitarian programs worldwide to advance public health, human rights, political participation and environmental stewardship. Dr. Borriello demonstrated how research can impact the lives of people around the globe, and the symposium will honor his many contributions. In addition, a panel of researchers who worked with Dr. Borriello on the Open Data Kit will offer their perspectives on its role in aiding humanitarian work around the globe, featuring Waylon Brunette, Ph.D. Candidate, Computer Science & Engineering, University of Washington; Nicola Dell, Assistant Professor, Computing & Information Sciences, Cornell University; and Carl Hartung, Co-founder & CTO, Nafundi, and Sam Sudar, Ph.D. candidate in Computer Science & Engineering, University of Washington. Professor Ed Lazowska, Bill & Melinda Gates Chair in Computer Science & Engineering at the University of Washington, will open proceedings with a tribute to Dr. Borriello's life and work. The symposium is co-chaired by Professor Richard Anderson, Department of Computer Science & Engineering at the University of Washington, and Dr. Sheree Wen, United States national commissioner to UNESCO, chair of IEEE Seattle and vice chair of GHTC15. Attendance at the Gaetano Borriello Feet on the Ground Humanitarian Symposium is open to members of the public in addition to GHTC15 conference registrants. Because space is limited, individuals who plan to attend the symposium without registering for GHTC15 are encouraged to RSVP in advance. There will be no on-site registration. Organized by IEEE, the world's largest technical professional society with over 400,000 members in over 160 countries, the cross-disciplinary Global Humanitarian Technology Conference focuses on advancing technology for the benefit of humanity. More than 300 people from 30 countries are expected at GHTC15. Learn more and register to attend the entire GHTC15 conference at www.ieeeghtc.org.